Donepezil is used to treat confusion (dementia) related to Alzheimer's disease. It does not cure Alzheimer's disease, but it may improve memory, awareness, and the ability to function. This medication is an enzyme blocker that works by restoring the balance of natural substances (neurotransmitters) in the brain. Read the Patient Information Leaflet if available from your pharmacist before you start taking donepezil and each time you get a refill. If you have any questions, ask your doctor or pharmacist. Take this medication by mouth with or without food as directed by your doctor, usually once daily just before bedtime. If you experience sleep problems (insomnia), talk to your doctor about switching to a morning dose. If you are taking the 23-milligram strength tablets, swallow them whole. Do not split, crush, or chew these tablets. Doing so can increase the risk of side effects. Dosage is based on your medical condition and response to treatment. To reduce your risk of side effects (such as nausea and diarrhea), your doctor will start this medication at a low dose and gradually increase your dose over weeks to months. Follow your doctor's instructions carefully. Do not increase your dose or use this drug more often than prescribed. If you do not take donepezil for 7 or more days in row, talk with your doctor before starting again. You may need to start at a lower dose to decrease the risk of side effects. Use this medication regularly in order to get the most benefit from it. To help you remember, take it at the same time each day. Do not stop taking it unless your doctor instructs you to do so. It may take a several weeks before you get the full benefit of this drug. What conditions does Donepezil HCL treat? Nausea, vomiting, diarrhea, loss of appetite/weight loss, dizziness, drowsiness, weakness, trouble sleeping, shakiness (tremor), or muscle cramps may occur as your body adjusts to the drug. These effects usually last 1-3 weeks and then lessen. If any of these effects persist or worsen, notify your doctor or pharmacist promptly. Tell your doctor right away if any of these serious side effects occur: trouble urinating, severe stomach/abdominal pain, black stools, vomit that looks like coffee grounds, seizures. Get medical help right away if you have any very serious side effects, including: slow/fast/irregular heartbeat, severe dizziness, fainting. List Donepezil HCL side effects by likelihood and severity. Before taking donepezil, tell your doctor or pharmacist if you are allergic to it; or if you have any other allergies. This product may contain inactive ingredients, which can cause allergic reactions or other problems. Talk to your pharmacist for more details. 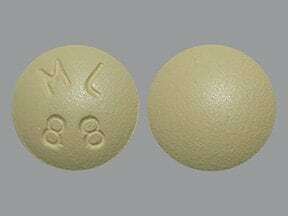 Before using this medication, tell your doctor or pharmacist your medical history, especially of: breathing problems (such as asthma, chronic obstructive pulmonary disease), fainting, seizures, stomach/intestinal disease (such as ulcers, bleeding), trouble urinating (such as enlarged prostate). The risk of QT prolongation may be increased if you have certain medical conditions or are taking other drugs that may cause QT prolongation. Before using donepezil, tell your doctor or pharmacist of all the drugs you take and if you have any of the following conditions: certain heart problems (heart failure, slow heartbeat, QT prolongation in the EKG), family history of certain heart problems (QT prolongation in the EKG, sudden cardiac death). Low levels of potassium or magnesium in the blood may also increase your risk of QT prolongation. This risk may increase if you use certain drugs (such as diuretics/"water pills") or if you have conditions such as severe sweating, diarrhea, or vomiting. Talk to your doctor about using donepezil safely. What should I know regarding pregnancy, nursing and administering Donepezil HCL to children or the elderly? Some products that may interact with this drug include: aspirin/non-steroidal anti-inflammatory drugs (NSAIDs, such as ibuprofen, naproxen). Check all prescription and nonprescription medicine labels carefully since many medications contain pain relievers/fever reducers (NSAIDs such as aspirin, ibuprofen, or naproxen) that if taken together with donepezil may increase your risk for stomach/intestinal bleeding. Low-dose aspirin, as prescribed by your doctor for specific medical reasons such as heart attack or stroke prevention (usually at dosages of 81-325 milligrams per day), should be continued. Consult your doctor or pharmacist for more details. Does Donepezil HCL interact with other medications? If someone has overdosed and has serious symptoms such as passing out or trouble breathing, call 911. Otherwise, call a poison control center right away. US residents can call their local poison control center at 1-800-222-1222. Canada residents can call a provincial poison control center. Symptoms of overdose may include severe or persistent nausea/vomiting, excessive sweating, very slow heartbeat, slow or shallow breathing, seizures. If you miss a dose, skip the missed dose and resume your usual dosing schedule. Do not double the dose to catch up. 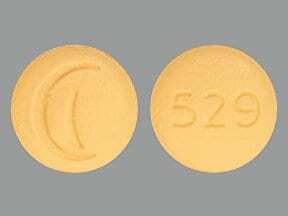 This medicine is a yellow, round, film-coated, tablet imprinted with "logo" and "529". 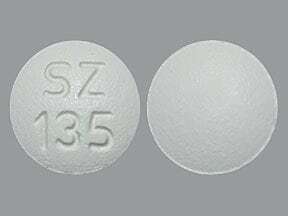 This medicine is a white, round, film-coated, tablet imprinted with "SZ 135". 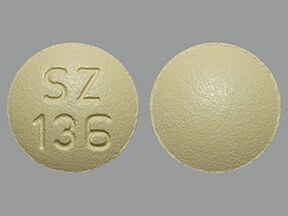 This medicine is a yellow, round, film-coated, tablet imprinted with "SZ 136". 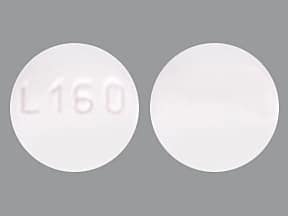 This medicine is a white, round, film-coated, tablet imprinted with "L160". 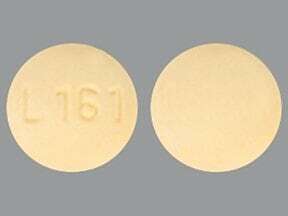 This medicine is a yellow, round, film-coated, tablet imprinted with "L161". 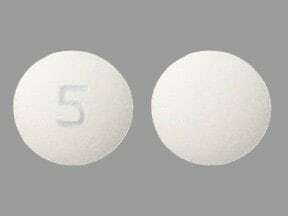 This medicine is a white, round, film-coated, tablet imprinted with "5". 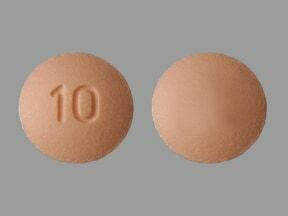 This medicine is a peach, round, film-coated, tablet imprinted with "10". 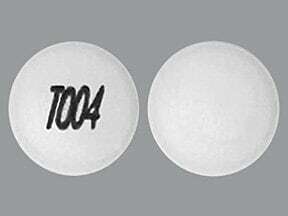 This medicine is a white, round, film-coated, tablet imprinted with "T004". 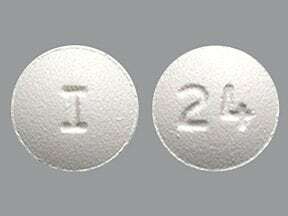 This medicine is a white, round, film-coated, tablet imprinted with "I" and "24". 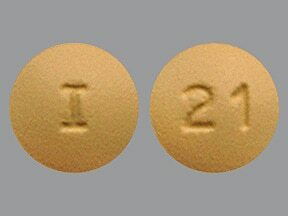 This medicine is a yellow, round, film-coated, tablet imprinted with "I" and "21". 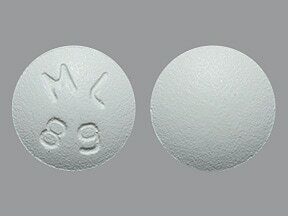 This medicine is a white, round, film-coated, tablet imprinted with "ML 89". This medicine is a yellow, round, film-coated, tablet imprinted with "ML 88". 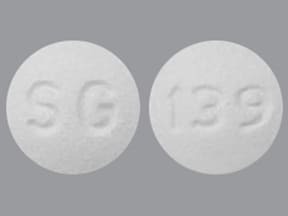 This medicine is a white, round, film-coated, tablet imprinted with "SG" and "139". 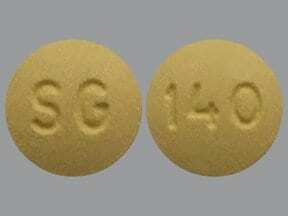 This medicine is a yellow, round, film-coated, tablet imprinted with "SG" and "140". 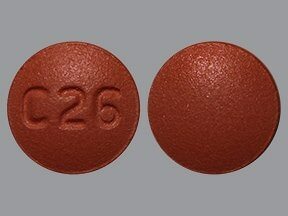 This medicine is a red, round, film-coated, tablet imprinted with "C26". 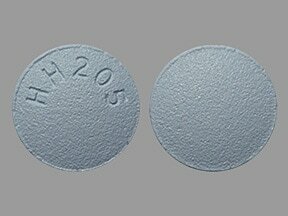 This medicine is a blue, round, film-coated, tablet imprinted with "HH205". 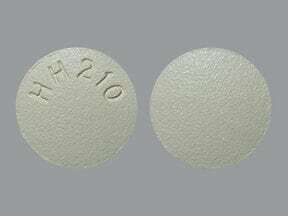 This medicine is a light yellow, round, film-coated, tablet imprinted with "HH210". 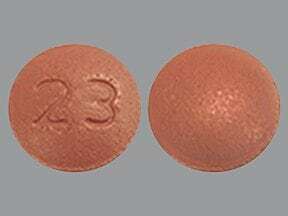 This medicine is a red, round, film-coated, tablet imprinted with "23". 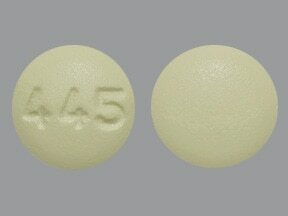 This medicine is a yellow, round, film-coated, tablet imprinted with "445". 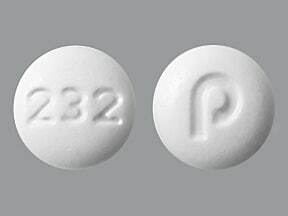 This medicine is a white, round, tablet imprinted with "232" and "p". 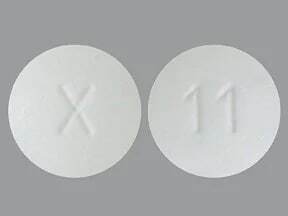 This medicine is a white, round, film-coated, tablet imprinted with "X" and "11". 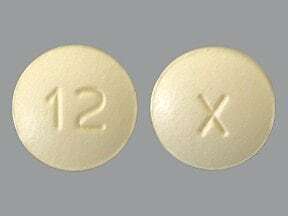 This medicine is a yellow, round, film-coated, tablet imprinted with "X" and "12". 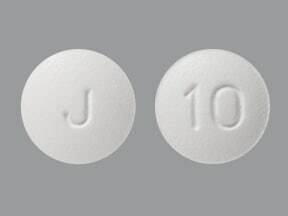 This medicine is a white, round, film-coated, tablet imprinted with "J" and "10". 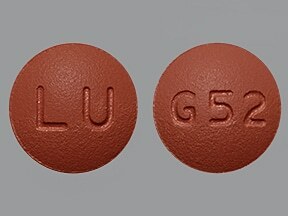 This medicine is a reddish-brown, round, film-coated, tablet imprinted with "G52" and "LU". 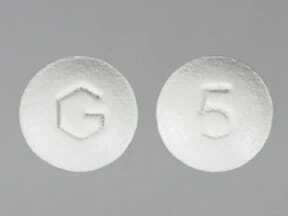 This medicine is a white, round, film-coated, tablet imprinted with "5" and "G". 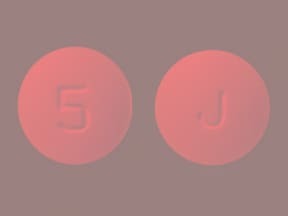 This medicine is a white, round, film-coated, tablet imprinted with "J" and "5". 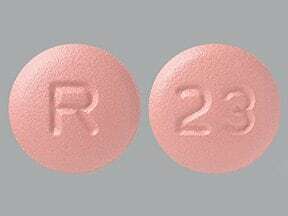 This medicine is a red, round, film-coated, tablet imprinted with "R" and "23". 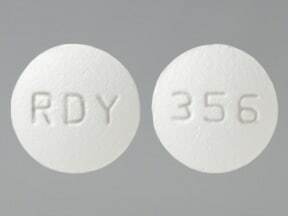 This medicine is a white, round, film-coated, tablet imprinted with "RDY" and "356". 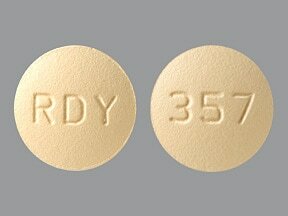 This medicine is a yellow, round, film-coated, tablet imprinted with "RDY" and "357". Are you taking Donepezil HCL? Are you considering switching to Donepezil HCL? How long have you been taking Donepezil HCL?